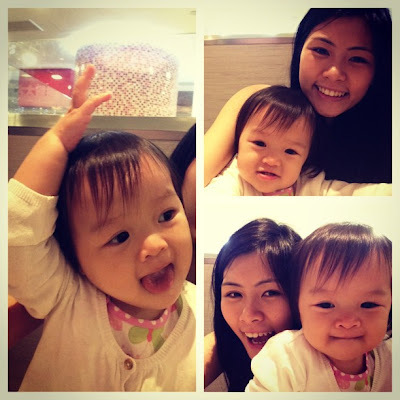 Hello Little Sunshine - Singapore Parenting and Lifestyle Blog: Goodbye 2012, Hello 2013! This is it. We've finally got to the last day of the year and in less than 12 hours we will be welcoming 2013! I'm feeling a mixture of emotions. On the one hand, I don't want 2013 to come. That means another whole year ahead of you and more expectations and goals which also means more stress. Also, I'm just afraid of what the whole year is gonna be like.So daunting. Yet, I guess it could be something good. Time for change (which I don't really fancy). Or actually it might mean nothing at all. Life goes on..the same. I guess the only way to know is to just let time tell right. Take things as they come, and tackle whatever problem when it arises instead of thinking of so many "what if's". To be fair, I think 2012 has treated me well, much better than 2011. For a start, Kaitlin is much easier to handle now that she is older. No more crazy moments when she was an infant and we were totally clueless as to what to do. I can safely say I feel x8324756128 times more confident taking care of her now as compared to back then. Though, I don't think I could deal with another infant plus active toddler anytime soon. We definitely want to expand our coop, but thinking about it is scary! Daddy Li and I have grown closer I feel. Well, not in the romantic, lovey dovey sense but more of the comfortable way. Of course with that said, we have had very little moments to ourselves where we are like a dating couple :( Need more of that *coughs* *pokes and prods Daddy Li*. In any case, though at times he may not be around, his presence definitely makes a difference. As I said before, he really is my pillar of strength. 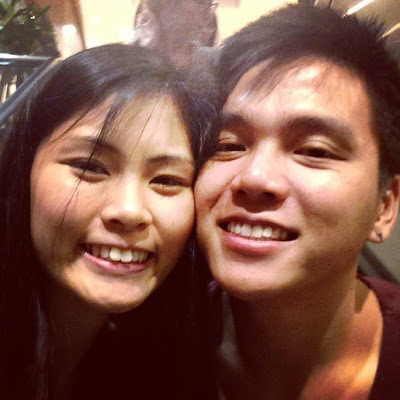 Even if I'm mad at him, it's still better that he is around than he is not. Health wise, we've been falling ill once in awhile, but that's way better than accidents or anything of that sort so that's great. 2012 has definitely been a year of planning. Planning for our future home, and plans for Kaitlin and ourselves. Till now, we have had no concrete conclusion. It's quite annoying cos we wanna just get it over and done with but it really isn't that simple. Life of an adult is so stressful D: I really hope come 2013, a few things can be finally sorted out and we can properly get on with life. I haven't set any resolutions for 2013. I'm thinking if I should cos I usually end up not fulfilling half or even any of them so it's quite pointless and at the end of it I feel so useless! We'll see how it goes and perhaps I might even post up my goals here just so that maybe I would feel pressurized enough to get started on my goals and fulfilling them. Well, however 2012 has treated you, it's finally coming to a close so just throw whatever sadness/angst/rubbish that has come your way in 2012, and just be happy for 2013! It's a whole new year for us all to start from scratch.